The following content is created with middle and high school classrooms in mind with access to Britannica School. Contact your library staff to see if your institution already has access or claim your own free product trials. It’s a dark and dangerous place out there for educators. The kind of place that needs a hero; a champion. Someone ready at a moment’s notice to swoop in and save the day with courage, strength, and supplemental educational materials. Suddenly, in the dead of the night (or, like, right after lunch one day), there came a desperate cry (maybe it was a polite email) from somewhere in New York. Wasting nary a second, the Britannica editors leapt into action. 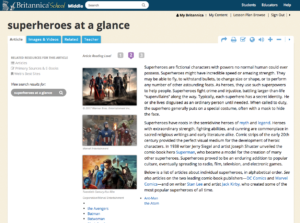 Their special powers of lightning-quick research and laser-focused curriculum standards combined in a daring plan to craft the perfect weapon: the brand new superheroes at a glance entry available at the middle school level in Britannica School. In addition to this new primer on all things superhuman, middle and high school students can now explore the Marvel and DC universes with new profiles on the heroes Superman, Ant-Man and the Wasp, Daredevil, and Elektra. 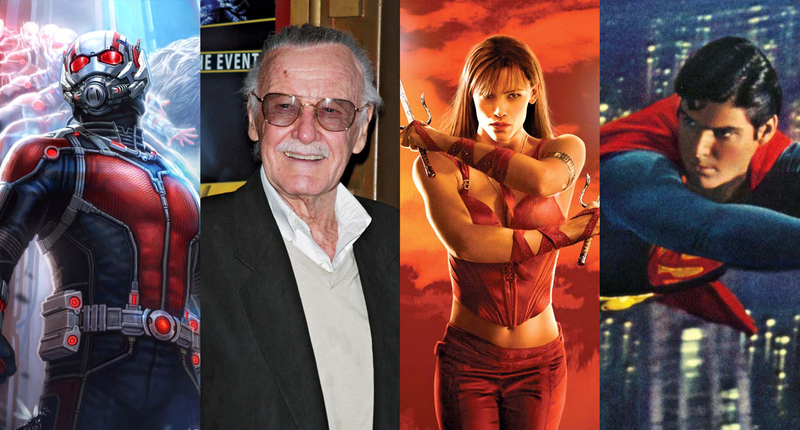 Biographies of Marvel creators Stan Lee and Jack Kirby also join the ranks, as well as expansions and updates to the continuing adventures of the popular characters Black Panther, the Avengers, Wonder Woman, and more. Finally, other new faces from the world of popular culture include new entries on Pokémon and Japanese animation—or “anime“—and updates to the expanding saga of the Star Wars article. Whether you need a buy in for students hesitant to engage with literature and research or just want a fresh angle for an existing lesson, pop culture topics like graphic novels and films offer endless opportunities to explore modern storytelling. See why New York schools are Britannica schools: Claim your FREE TRIAL of Britannica School today! Use this with your class? Tweet us feedback to @BritannicaLearn!